Barry Manilow tells People magazine that he hid being gay for decades because he thought he would be "disappointing fans if they knew." The 73-year-old music legend married his longtime manager, Gary Kief, in a 2014 ceremony at their home in Palm Springs, California. Manilow tells the magazine's April 17 issue that keeping their romance out of the media was stressful. 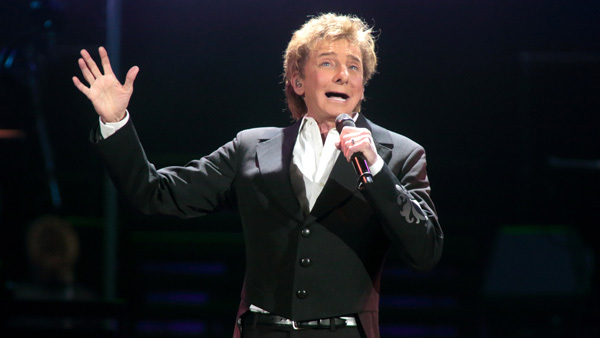 Manilow, who has a new album this month, "This Is My Town: Songs of New York," said he has always tried to keep his personal and public lives separate. "When I met Gary, that was even more of a reason to keep my life private." "I'm glad he stayed," said the singer of such hits as "Mandy" and "Can't Smile Without You."